Yes, they can be trained like that. More often, the understock is trained into a trunk, and then grafted on top. Alternatively, they are grafted up high as well as down low. The rootstock, trunk and top scion are three different roses. That is just too much work. 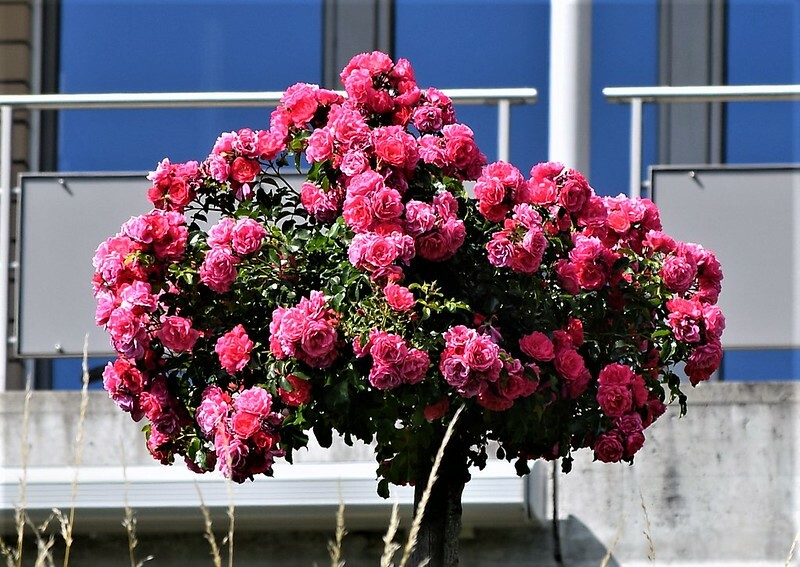 I think that roses are grown for their flowers only, so that they do not need to be propped up like that to sho off their foliage and stems that are not so appealing. The one in your picture happens to be a fluffy polyantha type, or something similar, so looks good propped up like that. After decades of breeding roses for being bigger and more colorful, fragrance is finally being bred back into more contemporary cultivars. I do not often like new introductions, but fragrance is rad.